What we stand for and what we want to achieve. Our expert teams develop healthy lifestyle programmes for children and adults, plus resources and training for professionals. We tailor all our work to the needs of the people we support. 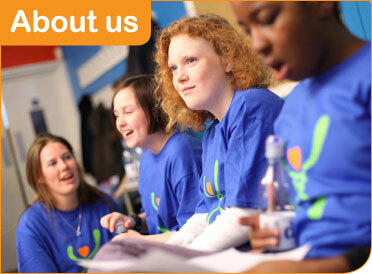 We work in local communities all over the UK and now we’re expanding into local communities across the world too. Everything we do is based on the best evidence and research. We’re led by a team of renowned weight management experts. A short Q&A with our chief executive about how quickly MEND has grown. Highlights from a challenging but successful year. Just some of our planned activities taking place this year, including National Childhood Obesity Week and Move It Week.